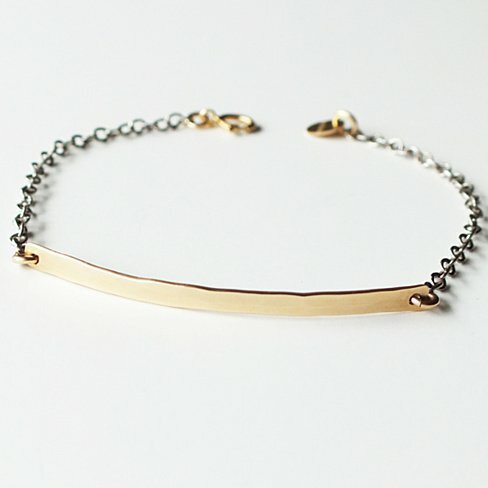 Hammered gold filled bar is linked to oxidized sterling silver chain for an edgy look. This looks great with our Rock-it ring. Also available in all gold.